While a measuring certificate issued in 1962 is stating the Buchholz boatyard in Potsdam as builder, the Aisher Questionnaire from 1963 is showing a boatyard in Tallin involved in the design. 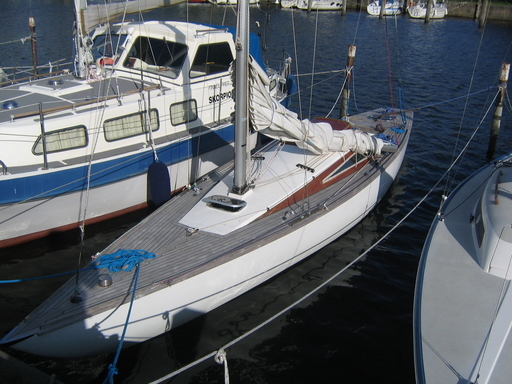 There is uncertainty on the original design of the boat; one measuring certificate is stating a working group of a boatyard in Tallin as the designers, other sources do state G. Brand, Berlin. Assumption: The group designed the boat, but before finalizing the construction, Brand was engaged. Anyone who can clarify things here, is most welcome to place a note.